Service is a mindset. 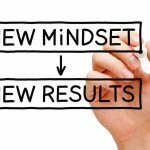 It requires a targeted focus on the customer and on doing what is right. 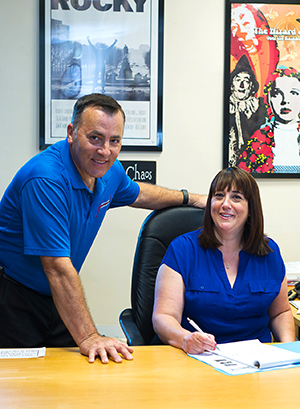 When Vince DiFilippo bought the service business from his brother’s HVAC company in 1989, Vince’s mission was to provide something that no one else in their marketplace was providing. He wanted to provide service performed by educated and certified technicians with a focus on customer comfort and safety. 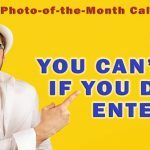 DiFilippo’s Service Company, Paoli, PA (a western suburb of Philadelphia) is in a heavily saturated HVAC market with very tough competition. He wanted the company to stand out in a way that mattered. “Our focus, almost from the beginning, was to be highly trained and certified. We pride ourselves on that. Our logo even says we are ‘Certified Home Comfort Experts,’” Vince says. His newlywed wife Laura (they married the year he bought the service business), held a good job at Vanguard Investments. That was a good thing because in the beginning, Vince didn’t take home a paycheck for the first seven or eight months. Today the family-owned company employs 14 people and five service and two installation vehicles. Vince is the company CEO and handles sales and the technical side of the business. Laura is the company president and manages the operations and financial side. Together they built the company into a state-of-the-art high-performance contracting business. Since those very early days, education and training were focal points for both DiFilippos. They agree that training is the light that helps separate their company from the pack. While Laura takes charge of the business training, Vince handles all technical training. He even built his own training laboratory right in their headquarters building. In fact, he says that it is all the training that helps them find and keep good field and office personnel. “During an interview, if they are excited about training and are anxious to learn more, then our lab is the hook. The lab is the lottery ticket for them. 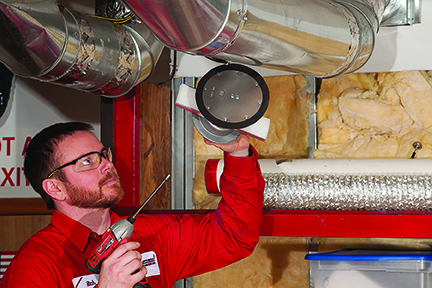 Vince focuses on safety training and certification – combustion and carbon monoxide (CO) safety is key. Laura says it can be very expensive to join so many organizations and send team members to their training. 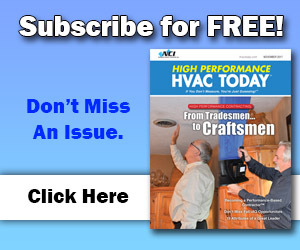 But she also says, “I think the HVAC industry has done a really poor job preparing people to work in this industry. 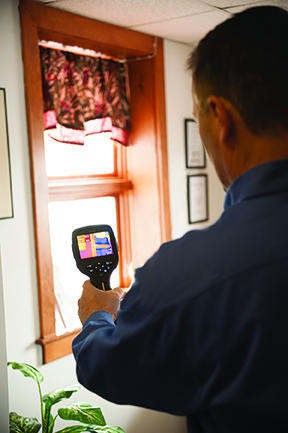 “When one of our technicians comes to a customer’s house, we are confident that 98% of the time he will find the problem and resolve it,” Vince says. Laura DiFilippo says training means different things to different people. She says, “We operate in a high-end residential market. We don’t want our techs in front of customers until we are positive they are confident and know what they are doing. 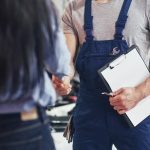 “It can take up to six months before we have a technician ready to be in a truck, by himself, just to do maintenance,” she adds. 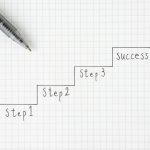 The DiFilippo Way includes helping everyone in the company to become better communicators. For field technicians, Vince says that means asking a lot of questions and listening to the answers. He explains that many of the questions are part of scripts learned at NCI training. Vince adds that the measurement and diagnostic techniques – as taught by NCI –makes things easier. “It creates ‘aha’ moments with our customers. This is especially true when proposals from other contractors call for complete box or duct changeouts and we can resolve customer issues without so much bruhaha. Laura points out increases in new housing developments where many mechanical systems aren’t being installed correctly. “Vince finds a lot of ducts that go nowhere, with caps missing, and runs that have holes in them. Consumers buy these magnificent homes at outrageous prices and can’t figure out why they aren’t comfortable,” she says. “The opportunity is that we can go in and figure out what the problem is without always needing to replace equipment. Customers LOVE that,” Vince says. Of course, CO testing and combustion safety also differentiates DiFilippo’s Service, even though some of their competitors do offer it. “The difference is that our technicians are trained in not only how to conduct the tests, but how to help the customers understand what is happening,” Laura continues. “All our technicians carry CO testers and printers. They print results on two tapes – one that goes with the invoice and one that stays with the packet in the unit. “Again,” Vince says, “very few of our competitors do this. 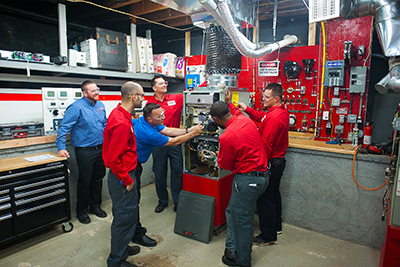 Many HVAC companies are family-owned and operated businesses. For the DiFilippos, being a husband and wife team poses many potential problems. Laura says it can be super hard. Vince adds that being in business together is also a matter of great trust. He says, “Who can I trust more than my spouse? Plus, Laura brings this completely different part of the process together that I don’t like to deal with. She handles the numbers and human resources. She is the contact and the personality. “I like getting my hands dirty. I don’t like to be in meetings. Laura likes to run meetings. We have this nice balance. And again, there is a cut off. “We have a great deal of respect for each other,” Laura says. “The fact that we stay in our own lanes and respect each other is key. We also aren’t afraid to ask for help – from our peer groups, from business coaches, and so on. This industry has provided an amazing life for us. But we work it together, as a team,” she says. What is the DiFilippo Way? It is everything explained above. And it is also Vince and Laura’s take on High-Performance Contracting. 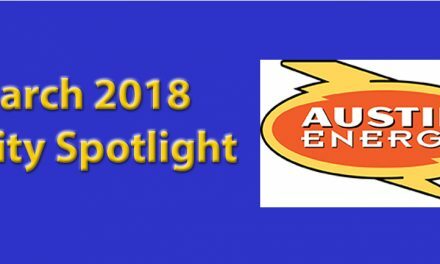 It is about service and being the very best in terms of training and certification, so they can provide customers the very best in comfort solutions, energy efficiency, and safety in their homes. As Vince says, it is about doing things properly – each and every time. 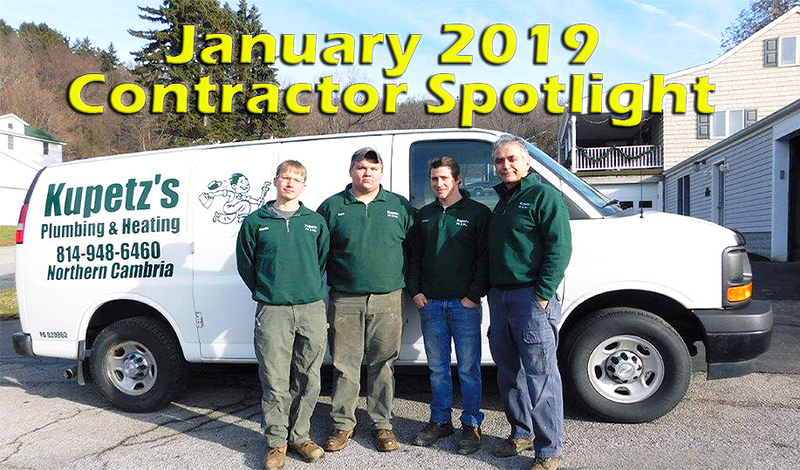 Which is why DiFilippo’s Service in Paoli, PA is the September 2018 Contractor Spotlight.